Mix crustacean consommé, egg cream, veloute, salt and pepper, then steam for about 5 minutes. Cool down. Mix spot prawn, fennel and chives in honey lemon dressing. 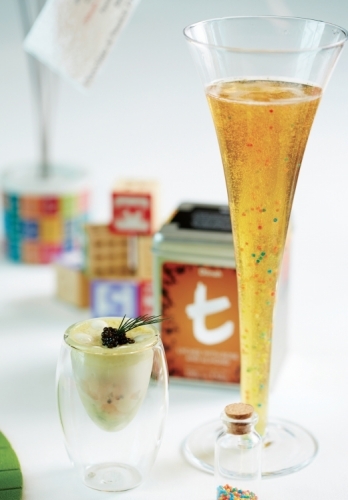 Layer salad and custard in a glass then arrange caviar, sour cream and dill for garnish.